Use this template to track your medical expenses for your family income tax return purposes. 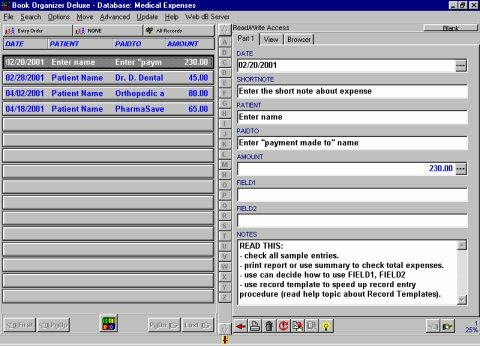 You can quickly enter the following information: expense date, expense title, patient name, payment made to, amount, and notes. You can quickly print summary reports. You can create record templates for similar records to speed up entry process. Template contains sample records that will help you to enter your data.